The world of business has always been competitive and demanding, with consistent demands for both speed and quality coming from all sides. 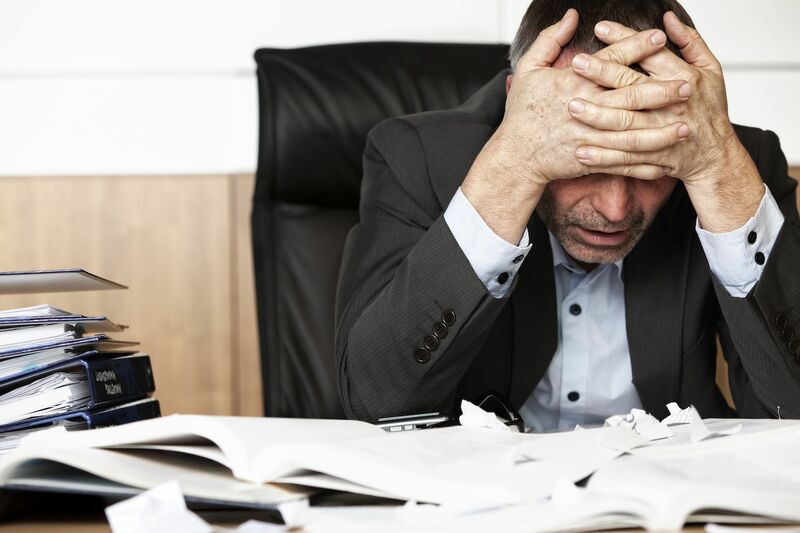 Those who consider themselves to be hard workers may be successful at keeping up with expectations, but at times the pressure can begin to feel overwhelming. Simply put, we all need to take care of ourselves and be selfish – at least once in a while – or risk pushing ourselves past healthy limits. If you think you may have already gone beyond those limits, and are suffering from burnout syndrome, test yourself with our online quiz below. How often do you feel physically tired during the day? How motivated are you to fulfil your obligations to your employer / family, compared to a year ago? How optimistic are you in general, compared to a year ago? Have you found yourself making more mistakes and mental errors now, compared to the past? How effective are you at work these days? Have you changed the way you deal with people? Have you become more careless with your diet or appearance? Does your job take up too much of your mental energy – even when you’re not working? Overall, are you happy with your life at work and at home? Have you noticed any changes in your health recently? As you have likely guessed, people suffering from burnout are much more likely to answer ‘c’ for many of the questions above. But all of your answers will be meaningful, and having many ‘a’ answers would likely indicate that you haven’t reached your personal limits yet with regard to work and stress. To calculate your score on the burnout syndrome test, count the number of times you answered ‘c’, and then subtract the number of times you answered ‘a’. If the resulting number is above zero, then you may be beginning to feel the effects of prolonged stress at work or in your family life. If the number is 3 or higher, then it is safe to say that the pressure is beginning to have serious effects on your well-being. Any score above 5 should be considered a real indication that you have reached the point of physical burnout, and will need to make genuine changes to your lifestyle – even if only temporarily – to bring your body back to a normal equilibrium. Sometimes, life just isn’t fair. The people most susceptible to burnout are the ones who work the hardest, who are most diligent and responsible, and who make every effort to serve those around them. These personality traits are admirable, but they also present a quicker path to physical as well as emotional exhaustion – particularly during demanding times. Sometimes you just have to detach from work obligations, and take care of yourself. As with other conditions, prevention is far better than cure, and burnout can best be avoided by moderating your time commitments. If the demands of your job or family life are truly heavy and can’t be avoided, then at the very least, devote one hour per day to yourself alone. This time can be spent listening to quiet music, taking a nap, getting exercise, meditating, going out with friends, or some other form of escapist entertainment to give yourself a mental as well as physical break from work. If you already suffer from burnout, then all of the same remedies will help – but in larger doses. A real holiday in a relaxing location, putting physical distance between you and your job, can work wonders in getting you back on track. One-on-one therapy sessions are excellent ways to help people deal with their stress through counselling or physical exercise. A break from other forms of stress can also help you recover from burnout more quickly. Switching off from the conflict-filled modern news cycle, the world of internet connection in general, and social media in particular, can help you preserve your mental energy instead of squandering it unnecessarily. The Dawn offers comprehensive support for clients experiencing burnout and a wide range of other mental health conditions. We help our clients recover from physical stress through trauma-releasing exercises, as well as massage and spa treatments. We also provide cognitive behavioural therapy, mindfulness meditation, neuro-linguistic programming, and other modern techniques to ease mental strain and help patients find their inner balance once again. At The Dawn, we also treat conditions such as PTSD, addiction, depression, and other related afflictions which may appear alongside burnout or independently. To learn more about how our treatments can bring you back to a state of wellness and personal fulfilment, contact The Dawn today or call +66 63 048 4877 for an immediate assistance.